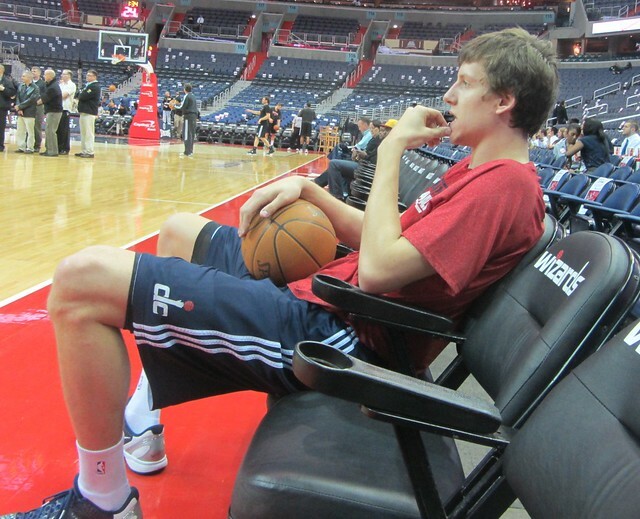 Home / Wizards Seasons / 2011-12 Wizards / 57 Games With Jan Vesely In A Lockout-Shortened Season: Czech Please! What did we think we knew about the 6-foot-11, 240-pound wing out of the Czech Republic? 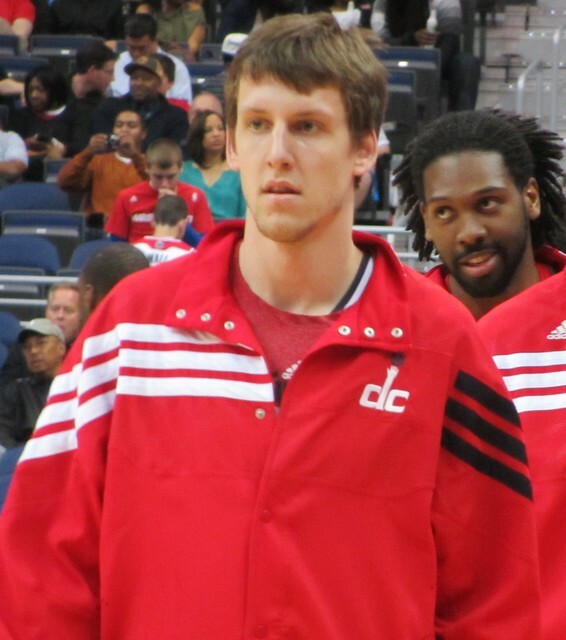 For starters, YouTube told us that Jan Vesely was a “dunking ninja,” and Flip Saunders, while he was still the head ball coach, said that Vesely was a “perfect fit” for the Wizards. We knew Vesely was a phenomenal athlete with a shaky jumper, but a player that would always leave it all on the floor. We knew he liked to play defense and block shots; he said so much in a draft night-conference call with the media. We knew that despite his willingness to play D, Vesely was still a combo-forward who would need to add strength to slow elite post players in the NBA. And an in-depth look at his statistics in both the Euroleague and the Adriatic League, where Vesely had been playing professional basketball since the age of 16, suggested Vesely would likely be an efficient, reliable rotation player with plenty of potential, even as a back-to-the-basket scorer. That’s what we thought we knew. As for what we now know, well…. On media day at the conclusion of Wizards training camp 2011, there was unknown coach prowling around the floor in logo polos; he wasn’t an official Wizards staffer. Turned out, Flip Saunders contracted Jay Wolf, shooting coach, to assist Jan Vesely with form. It was an ominous sign that the Czech rookie would struggle with this facet of his game. Jan then infamously air-balled his first NBA free throw attempt and did not make his first legitimate jumper until a loss at Indiana on March 29, 2012. Jan also shot 60-percent from the field at home, compared to 47-percent on the road. 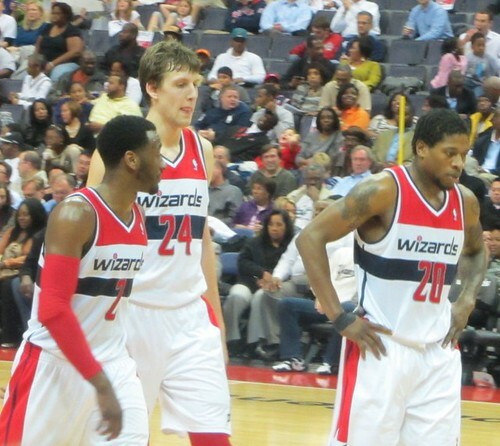 Vesely has to at least become a threat offensively when he faces up to the basket. Too many times this season, he wouldn’t even look at the rim, rather immediately passing the ball like a hot potato. Vesely’s on-ball defense became a weakness due to his propensity to pick up cheap fouls very quickly. Some of this was due to NBA refs welcoming the rookie to the league in their typical fashion, but he also tended to take poor angles and did not move laterally with enough quickness. He gradually figured it out and the “Vesafoul” moniker disappeared. Improving his jumper substantially could open up the possibility of Jan sliding over to the 3 spot at times to relieve some of the log jam the Wizards might have at the 4 spot, especially if they end up drafting Thomas Robinson or Anthony Davis. It’s easy to rag on Vesely’s glaring deficiencies and criticize the team for his sixth overall lottery selection. I’ve found myself guilty of wondering “what if” while watching Kawhi Leonard (the 15th overall pick in 2011) ball out for the San Antonio Spurs. This is the wrong approach and serves an injustice to the improvement that Vesely has displayed as a rook. 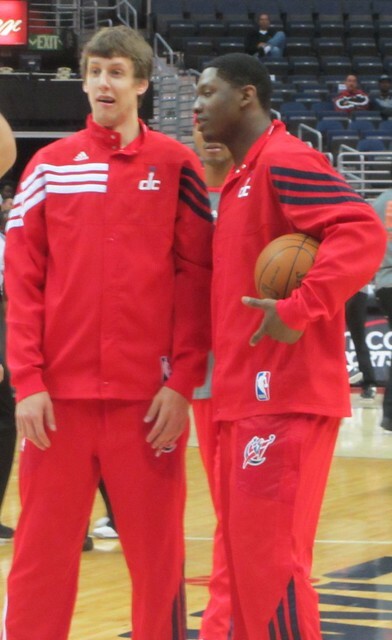 For awhile now, Wizards fans have lamented how the franchise has selected athletes lacking basketball I.Q. who have struggled with the simple, fundamental plays. It’s been a frustrating aspect of following this team and has opened up team president Ernie Grunfeld to legitimate criticism. Vesely is a living proof how that methodology has changed, because he is an athletic freak who does know the game. He hustles, hedges and recovers exceptionally on pick-and-roll D, he sees the floor well for a player his size and routinely is in the correct spot on the floor. Some of this might not always show up in the box score or even on the tube, but it is happening, and the Wizards rebuilding efforts are furthered by having a player like Jan Vesely. To start on a lighter note, Jan Vesely appeared almost two weeks ago on the Jan Kraus Show, which is only the most watched and best late night show in the Czech Republic. He definitely has a comical side to him. His English is not that perfect yet for Americans to experience it fully, however, when he speaks in his native tongue, he’s quite a funny dude. I’m pretty sure Kraus has never seen a basketball game (a hint about the popularity of the sport in the motherland), but Vesely didn’t seem to mind and instantly won over the audience. There were some awkward moments, too. When Kraus said that Vesely is the most successful basketball player in Czech, Jan’s response: “I try.” But, funny moments prevailed. At one point, Jan was showing Kraus how to dunk violently like Blake Griffin, when Kraus joked, to everyone’s laughter, that Jan‘s shoes are so big (15.5 US size) he’d use one as a boat on a holiday. Vesely also mentioned that his grandmothers watch his games and check out his stats every day. Clearly, Air Wolf Ves improved as this lockout-shortened season went along; he certainly looked much more comfortable toward the end of the year. No doubt the transition from playing professionally in Europe to the NBA was tougher than even he had expected. (Vesely’s hip injury at the beginning of the season and having no real training camp didn’t help him, either.) When the season started, he played too timidly for the first couple of weeks; and the dreaded ‘bust‘ designation was bestowed upon him by many Wizards fans … those comments made me chuckle a bit. I get it that in message boards and the like, people want to express their feelings and projections (even if it is only after several games), but what some fans don’t get is the players are real people, not robots or digitized renderings in NBA 2K12. Every person is different, but when someone arrives to a new place, it’s always difficult. We can only imagine how tough is to adapt to living (and working) in a new country with only basic language skills at your disposal. What I’m saying is, you can’t really judge foreign players after couple of games. It can go south fast (Nikoloz Tskitishvili, anyone?) as many suggested, but eventually, in Jan’s case, it didn’t. When he got more playing time from coach Wittman and the team started playing more team ball after the Nenê trade, Jan (as he’s said himself, multiple times) enjoyed the game much more. You could see it in his eyes, he was having fun. Now comes the more difficult part: to get to the next level of performing more consistently, geting stronger, and adding a reliable jumpshot or a go-to ball-handling move to the arsenal. After the end of regular season, when he came home to face the Czech media for the first time, Vesely said that he’s determined to work hard during the summer. From what I’m hearing (I’m friends with several people who know him better than I do), he’ll do just that, work hard and shoot—a LOT. Wizards fans can also take solace in the fact that at his press conference in Prague, Vesely seemed to put the Wizards first and the Czech national team second. There are rumors that some young Czech basketball prodigies such as Jan and his buddy, point guard Tomas Satoransky (can the Wiz draft him in the second round? ), don’t get along well with some of the veteran Czech players. Long-time Czech veteran, Lubos Barton, who played college ball at Valparaiso University, blogged last summer that not participating in all games, even if it’s only a qualifying round, for your country is “egoism of the highest order.” However, that’s not the Wizards’ concern. If Jan plays for his national team in the Eurobasket qualification games this August and September (the Czechs are in the group with Turkey, Italy, Portugal, and Belarus), that can’t hurt. The more he sees playing time against tough competition in big games, the better. But Jan is determined to work on his individual skills and come to Washington a better, more confident player next season. So he will have to balance the best path between career and country. 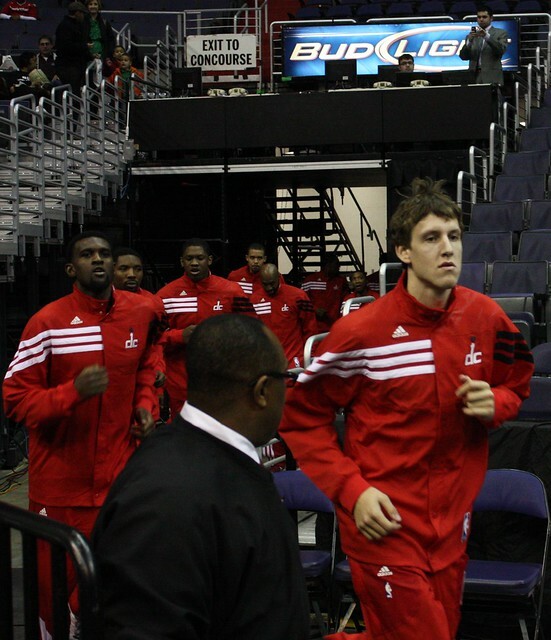 Maybe I’m biased, but Jan Vesely’s future in the NBA looks bright. 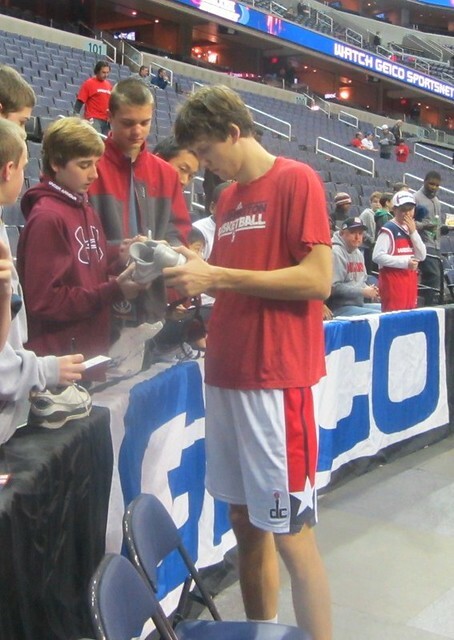 Even Bill Simmons once tweeted that Vesely is a specimen to see in person. That’s great, but what’s even better is that Vesely is one of those rare, hard-working, team ball-loving, high basketball IQ, ultimate teammate players who is simply a must-have for every winning NBA team—they are hard to find, the 6th pick in a sub-par draft be damned. What not many fans realize when evaluating players is that basketball is a team game consisting of both offense AND defense, so even when Jan’s jumpers looked terrible, on the other hand his defense, for a rookie, was really solid (e.g. covering screen-and-rolls and help defense), proving he has the capability to be a very special player on that end of the floor. And it’s not like offense doesn’t exist for Vesely, his dunks are impressive; most defenders don’t even know he had the ball by the time he scores. No, he won’t ever be a superstar in this league, but he’s well on his path to become an awesome, dependable player for many years to come. THE DUNKING NINJA REACHES THE U.S.A. The preseason hype had as much to do with his quotability, girlfriend, and incredibly bootleg highlight tape as it did with his superior athletic abilities and hard-nosed playing style. Bursting onto the scene with a smoking kiss and claims that Blake Griffin was the “American Jan Vesely,” Jan ended up being a refreshingly honest and focused player in a locker room with a clown-ish reputation. Through his interviews and diaries via the great work of Lukas Kuba, we learned that he likes Czech beer, team basketball, and dunking. 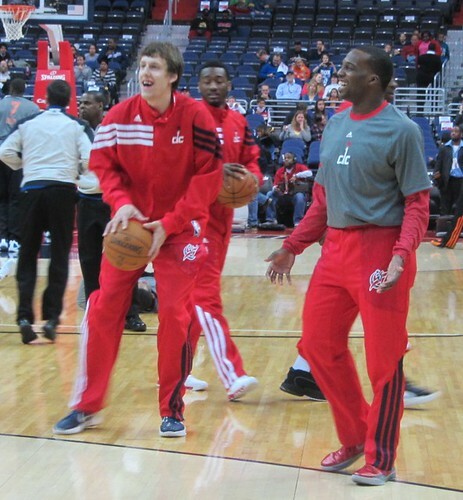 His stated lifestyle is in direct contrast with many of his fellow young American NBAers … Vesely seems to prefer the quiet life to the club scene. And well, he has neither car, nor American driver’s license, and he lives within walking distance to the Verizon Center. This is a good sign for an organization that has been plagued by club drama (Blatche v. McGee at the Shadow Room) in the not-so-distant past. Overall, Vesely kept a low-profile, was refreshingly honest in his dealings with the media, and appears poised to become a fan-favorite for years to come. He seems like a teenager, or at least like the 22-year-old that he is, in a much more appealing and striking way than many of his peers. His lack of facial hair (James Harden is the same age as him) and haircut choices lend themselves to his youthful appearance. 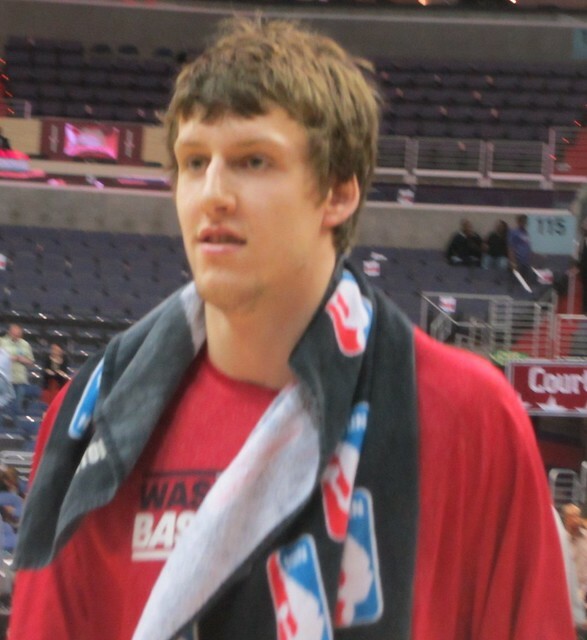 Which Jan Vesely haircut did you prefer: rock band Vesely or middle-school nerd Vesely?